I believe that an investment in children and families is an investment in our future world! Kindermusik has, for 25 years, given me the chance to make such an investment. This journey has been clad with one touching revelation after another – children who took their first steps in Kindermusik, those who spoke their first words, those who are now some of our community’s most gifted young adults, and yes, even some who have lived, and died, while with us. Though the journey began while trying to provide the gift of the music through our time, lessons and home ideas, it has come to embody so much more…Regardless of the struggles to run a business or to get out the door to class, once I am present, the magic on the floor — my “job” — can best be described as “Abounding love…everyday.” I wish for others the chance to experience such a gift in a vocation. I wish for parents the time to be present and play on the floor with their children, I wish for others who are struggling to see, in the eyes of children, nothing but an honest extension of, or calling for, love and Joy. I wish for all to take their loving example seriously, to emulate it, and, in doing so, to leave the world a little better off than they found it. 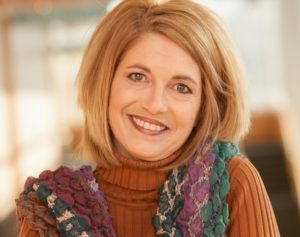 Katie Henderson, Founder and Director of Music Connections Foundation (MCF), has been a licensed, trained Kindermusik educator since 1993. She earned a degree in piano performance and completed coursework in Music Therapy from Illinois State University, and has worked with children in varying musical capacities for over 35 years. In 1993, Wheaton College sought out Katie to teach Kindermusik in their pre-college department of more than 800 children. Finding Kindermusik was an answer to dreams and prayers, as Katie had long known that young children were ready for the joy and learning music offers from a very young age, but that traditional lessons were not the optimal way to do this. When her husband was transferred to Bloomington in 1994, Katie began Bloomington-Normal’s only Kindermusik program in her home with 28 students. Twenty-five years later, Music Connections is now a Not-For-Profit Foundation with a mission to reach all children and families with the benefits of music from an early age. Music Connections has topped 500 students, has a faculty of 6 teachers and a program administrator, and, in addition to serving hundreds of families each week at its primary studio, MCF regularly serves children and families through its Foundation at such locations as SPICE/Marcfirst, Western Avenue Community Center, Neville House, Boys & Girls Club, the Baby Fold and Heritage of Care Nursing Home. Kindermusik International has programs in 72 countries, with over 5000 educators, worldwide. Music Connections has ranked among Kindermusik International’s top 20 programs worldwide, having been designated a Maestro Program — Conductor’s Circle status — since the program’s inception in 2000. In her spare time, Katie has served as music director for the Holiday Spectacular and Prairie Fire Theatre. She conducts adult education workshops on the importance of music in early childhood learning for local and statewide colleges and associations, and works independently for Kindermusik International, traveling to conduct Training workshops for educators worldwide. Katie lives in Bloomington with her wonderful husband Scott, is mom (and stepmom) to Katie Lynn, Josh, Michael, Benjamin and Grace, and Grandma to seven amazing grandkids. Tawni Martin has been with Music Connections since the Fall of 2008. Tawni has a degree in Elementary / Early Childhood Education and taught first grade for 10 years before staying home with her two daughters. Both her girls (now 24 and 20) were themselves “Kindermusik kids” and are very active in music to this day. Tawni is married and lives in Bloomington with husband, Clay, their daughters, and the newest member of the family, Cooper the dog! Tawni is dedicated to handling many “back-office” administrative aspects of Music Connections’ business, including scheduling, materials ordering and inventory, marketing and customer relations. This summer Tawni combined her culinary and musical skills and taught the first-ever MCF “Jazzy Kitchen” camp. One of Tawni’s favorite things about working at Music Connections is her opportunity to assist and work with all of our Kindermusik families. Andrea’s lifelong love of music and her then 2 year old son Hayden, landed her in the very first Music Connections class in the basement of Katie’s home in 1994. 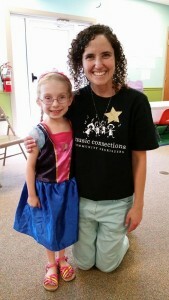 Andrea was a veteran Kindermusik educator of more than 17 years, and currently serves on the Music Connections Board of Directors. Her background is in Exercise Physiology, and Andrea loves the way that Kindermusik addresses optimal physical development in young children. Andrea says this: I taught Kindermusik because I know it is the best early childhood program available to families in our community. Kindermusik is a “little bit of everything” – dance, gymnastics, story hour, art, music, playgroup, support group, social group all wrapped up in well-researched, developmentally appropriate curriculum, and taught by passionate educators who do their best work. Andrea has served on the writing and editing teams for Kindermusik International’s curriculum development department, as Lead Mentor for Music Connections’ teaching team, and has spearheaded the MC Foundation’s initiative at SPICE for at risk two-year-olds and autistic children. 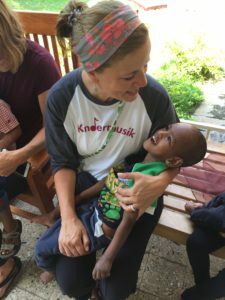 Recently, in the summer of 2018, Andrea accompanied Katie and a team of 7 other Kindermusik educators from all over the United States to Ethiopia to bring Kindermusik to the children of ESM Africa, a group of three orphanages, and to help train staff on how to use music to enhance the children’s development in a loving and joyful way. With a background in Finance and Foreign Language (from the University of Ontario), and a lifelong love of music (as a choir singer and accordian player!) Barbara became a licensed Kindermusik educator in 2004 and teaches over 100 of MCF’s children each week! She sings the Kindermusik praises where-ever she goes, and feels blessed to LOVE what she does each day of the week! Barbara leads the Foundation initiative class for Hispanic families at Western Avenue Community Center. Shelly has been a Kindermusik Educator with Music Connections Foundation for 12 years. She has a Masters in Speech and Language Pathology and Audiology. She first came to Kindermusik as a parent attending classes with her first child, then 6 months old. She was immediately impressed not only with how much fun the classes were, but with how well so many areas of child development are addressed by the curriculum. Shelly and her husband, Darvis, have four children ages 15, 13, 10, and 8. 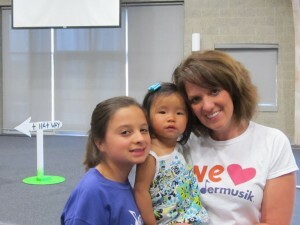 They are thrilled with how the Kindermusik program has benefited their children and family as a whole! 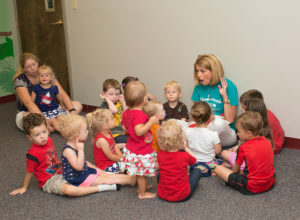 In addition to teaching our core curricula classes and specializing in Sign & Sing at the studio, Shelly teaches Foundation classes at SPICE for at-risk two year olds and has taught our Seniors Class at Heritage Health, and has worked for Kindermusik International on their Curriculum Development team. 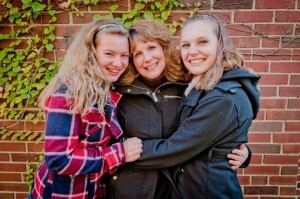 Lisa began her journey with Kindermusik when her first daughter was 4 months old. 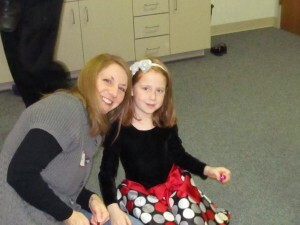 Julianne is now a Kindermusik Graduate and her sister Kristin is nearing her graduation! Lisa holds a B.A. in Music Education with an emphasis in Music Therapy from Wartburg College. She has worked with children ages 3-21 on the autism spectrum as well as taught music education for preschoolers thru 2nd graders. Lisa also works as a church children’s choir and handbell choir director. Lisa resides in Bloomington with her husband, 2 daughters and 2 shih tzus. Briana Conrad moved to Bloomington from Denver, Colorado in the fall of 2016 with her husband John and two children, Fiona & Barrett. From the moment she attended her first Kindermusik class as a parent she knew she wanted to be a part of something so special. Briana has a B.A. in Psychology and a M.A. in Elementary Education. She taught Elementary school before becoming a stay-at-home parent in 2014. She completed her Kindermusik Licensure program in the spring of 2017 and is thrilled to be joining the team at Music Connections. I am so excited to be a part of a program that truly embraces the whole child. Not only does Kindermusik help a child develop his/her musicality but it helps with their cognitive, language and physical development. As a parent, I saw the Kindermusik classroom as a safe and supportive environment for me and my family. I hope to provide the same for our Kindermusik families, all while having a great time! Molly Ramírez is originally from central Illinois and moved to Bloomington to study International Business and foreign language at Illinois State University. 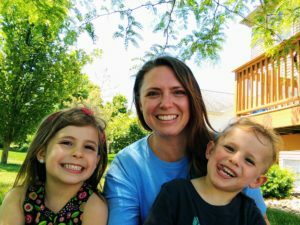 After working six years at Caterpillar Inc., she chose to stay home when her son was born, and she began exploring a new career path in teaching. 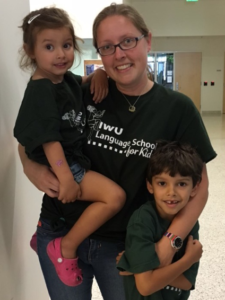 For the past five years, she has been a French teacher in the Bloomington-Normal community and began her teaching journey for Music Connections Foundation this past summer with a French-language family-style summer camp. She is excited to be joining this outstanding team and to begin teaching for Music Connections from the standard Kindermusik curriculum this fall. I was born into a very musical family and developed a love of music at a young age. When my son was born, I knew that I wanted music to be a big part of his life and was very pleased to find Kindermusik. But Kindermusik was so much more than just an exposure to music. From keeping a steady beat to managing transitions throughout the day, Kindermusik has been beneficial in developing my children musically, emotionally, and socially. As a parent, I am grateful for the community, opportunity, and education that Music Connections has provided my children and me. As a teacher, I look forward to sharing these benefits with other parents and to helping them bond with their children as they explore themselves and the world around them. As a member of the community, I hope to give back by reaching as many families as I can who would benefit from this wonderful program. Molly lives in Bloomington with her husband, Arturo, and their two kids: Santiago (6) and Milena (3). 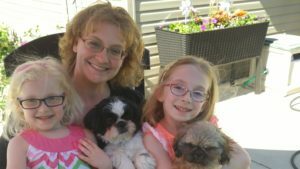 Shelley has a degree in Business Administration from Illinois Wesleyan University, and worked in the insurance and banking industries before choosing to stay home with her three children, Rebekkah, 13, Luke, 10, and Adam, 8. 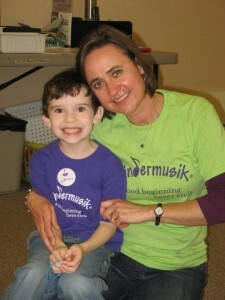 Shelley observed and participated in the Kindermusik classroom as a parent for six years before beginning her teaching journey for MCF in the Spring of 2010. She lives in Bloomington with her kids – now FOUR in number! – and husband Andy. Currently Shelley is serving Music Connections as Liaison between Parents and our Foundation, and represents MCF at Community Events as well. Dee Henderson lives in Bloomington with her husband, John, and five precious children – Kayley, Sawyer, Micah, Milly & Owen – all Kindermusik graduates! She has a B.A. in Education from Judson College and has spent time teaching in Wisconsin and Illinois. She completed the Kindermusik Educator training in 1999 in Indianapolis after which she began teaching for Music Connections. About Kindermusik, Dee says: “I believe every child should have the opportunity to experience the best program available to children in our community. I know and am thankful for how it has benefitted the development of my own children and how it has encouraged us to have a musical home. It is a well written curriculum with purpose, organization, and developmentally appropriate activities, songs, and games. 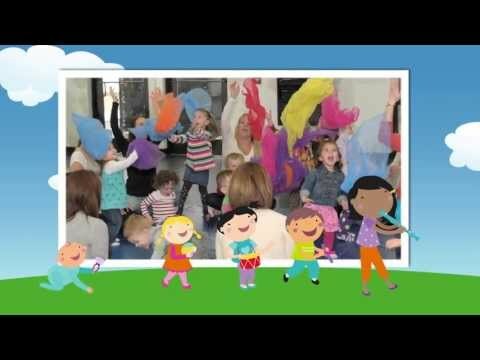 I love music and teaching Kindermusik and wanted to share it with everyone. Finally, the connections that are made from being a part of the Kindermusik community (teacher to teacher, parent to parent, teacher to parent, teacher to child, parent to child….) are immeasureably valuable now and in the future.” Dee currently is in charge of the creative content for and implementation of our “Playdate” program.